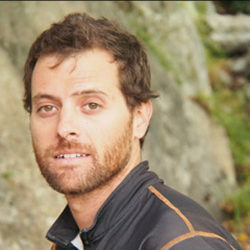 Greg Shaffran began guiding as a sea kayak guide in southern Chile in 2005. In 2006 he returned to Aspen, Colorado to guide on snow and in mountains, teach avalanche education, volunteer with Mountain Rescue Aspen, and spend a tremendous amount of time looking at maps, weather, and records. His first forays into computer programming were because he wanted to manage multiple weather sources so that he could always find the best snow for a pristine backcountry skiing experience. He created the Guides Guru because he knew there had to be a better way to deal with the mapping and communication issues he saw at work and on days off. When not working on the Guides Guru, you’ll likely find him still searching for the best snow.